The Richmond Realty Group RE/MAX The Woodlands and Spring hosted the 2nd Annual Shelter for Shelter event on Thursday, May 10, 2018 at Mercedes Benz of The Woodlands to benefit YES to YOUTH Montgomery County Youth Services (MCYS). Montgomery County Youth Services is a non-profit providing crisis counseling, shelter programs and prevention services to strengthen families, keep youth in school and prepare them to be productive citizens in Montgomery County. The fundraising event raised funds for a new residential center next to the existing center on Frazier Road in Willis. Donations, ticket sales and sponsorships were matched by the Richmond Realty Group dollar for dollar. 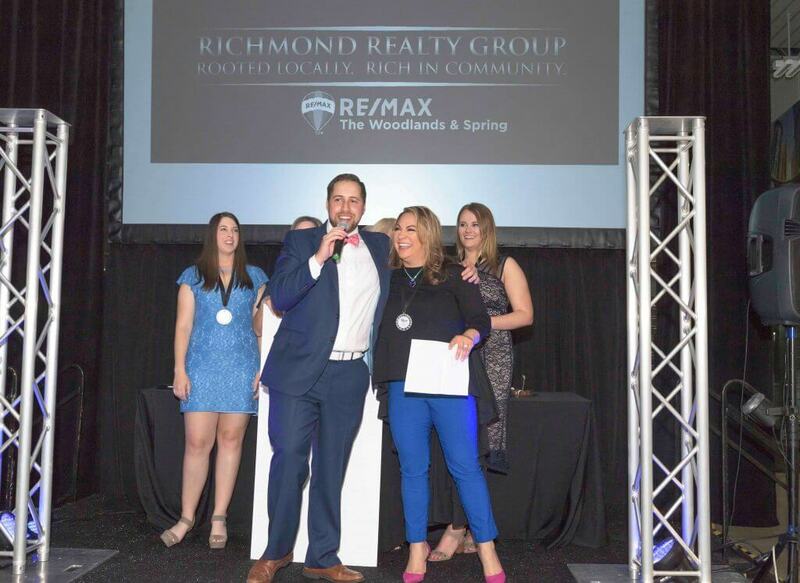 The Richmond Realty Group RE/MAX The Woodlands and Spring will continue raising funds for the shelter after the event by contributing 25% of their commissions up to $25,000. The fundraiser included delicious bites and beverages from local restaurants, networking with community leaders and businesses, music and entertainment, dancing, and the opportunity to learn about Montgomery County Youth Services. At the end of the evening, Zach Richmond and Marlys Mulkey of Richmond Realty Group presented a $50,000 check to Montgomery County Youth Services. Sponsors included Abercrombie and Associates, Alegra HR, America’s ER, Avenida Brazil, Berryhill Baja Grill, Chick-fil-A, Constable Ryan Gable, Corporate Medical Systems, Costco, Dr. Guy Facial and Plastic Surgery, Fieldings, Flemings, Hello Woodlands, Incrementum Marketing, I Promote You, J Beard Real Estate Company, Kirby’s Steakhouse, Link Magazine, Madalyn and Walter Cooke, Mercedes-Benz of The Woodlands, Nebular Films, Paragon Insurance, PR Luxury Media, Prime Lending, Soules Insurance Company, Southern Star Brewing Company, Spinal Care Chiropractic Center, Spirit of Texas Bank, Starfox Financial, Strike, Stull Inspections, Taylorized PR, Texas Engineered Roofing, Tommy Bahama, US Anesthesia Partners, Veritas Title Partners, Waterway Builders, Woodforest by Johnson Development, Wolford Group, Fred Greene, CIMA and Rudy Wentzler, MBA, AAMS and Woodlands Hits. Learn more about Montgomery County Youth Services and upcoming events by visiting www.YouthMC.org or their Facebook page at www.facebook.com/mcys4kids.